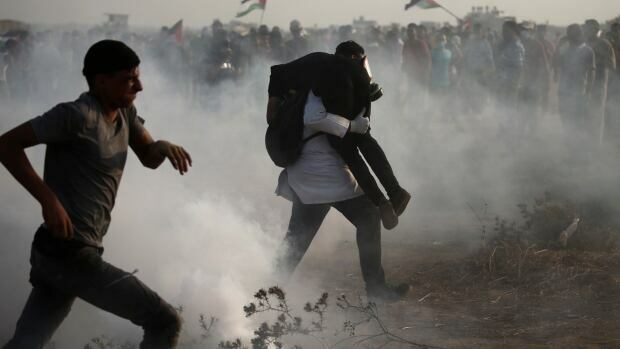 Gaza’s Health Ministry says a 15-year-old Palestinian has died from Israeli gunfire during nighttime skirmishes along Gaza-Israel frontier. The circumstances were not immediately known, but the incident occurred as dozens of youths engaged in “nighttime confusion,” a more violent form of protests involving firebombs and laser lights directed at Israeli forces along the border fence. The night skirmishes are complementary to the weekly daytime protests that Gaza’s Hamas rulers have staged for a year.